Main objective of this report is to analysis Overall Banking Activities of National Bank Limited. Other objectives are to know about the Banking activities, management efficiency and overall performance of National Bank and get a clear concept and practical knowledge on over all Marketing activities to apply in the future. Finally find out some current problems and recommend some solution to analyze them to facilitate the future bankers. The report has been written on the basis of information collected from the Primary sources and Secondary sources. In conducting the study I have followed the exploratory approach. Face to face conversations with the employees of NBL. By personal interviewing and interacting customers at NBL. National Bank Ltd. is the first private sector commercial bank of Bangladesh, fully owned by local entrepreneurs. NBL started its never-ending journey from 23 March 1983. The Board of Directors of the Bank consists of the finest intellects of the country’s business, commerce and banking areas. NBL brought a change in services in the banking sector besides the traditional Govt. banks with its excellent difference. The success of NBL is for its cooperative, helpful approach, understanding the real banking needs of each and every client and concern for their benefits and welfare. From the beginning NBL had the great objectives about the Share holders- to maximize their facilities as well as dividend. Now NBL is bigger concern compare to others in the same industry holding 91 branches in the inland area. In 1995 NBL acquired equity and management of Nepal Arab Bank Limited and in 1996 NBL opened a representative office at Myanmar. In different countries NBL has some exchange booths to facilitate the foreigners. With a string sense in all business area of commercial banking NBL could foresee tremendous growth in home bound remittance from Bangladeshi expatriates in USA, UK, Middle East and in different countries of the work. Consequently, NBL established a unique money remittance system with Western Union of USA for inbound and outbound remittance. Still now, NBL has this sort of novelty service facilities. NBL always is committed to fulfill its ethical responsibility to the society, country and to the whole world. NBL has participated in the Brained Multi Purpose Project, a major enterprise undertaken for improving the ecological balance and the socio- economic conditions of the farmers the northern region of the country. Establishment of NBL Foundation, which operates National Bank Public School & College and sponsorship of various sports tournaments are few of the mentionable projects that display NBL’s commitment to the society. Besides the different types of Accounts, NBL has some special schemes that really represent bank’s concern about the clients, some of them are – MSS, SDS, SIS Credit Card, ATM services. Ensuring highest standard of clientele services through best application of latest information technology, making due contribution to the national economy and establishing ourselves firmly at home and abroad as a front ranking bank of the country is our cherished vision. Efforts for expansion of our activities at home and abroad by adding new dimensions to our banking services are being continued unabated. Alongside, we are also putting highest priority in ensuring transparency, accountability, improved clientele services as well as to NBL’s commitment to serve the society, through which NBL want to get closer and closer to the people of all strata, Winning an everlasting seat in the hearts of the people as a caring companion in uplifting the national economic standard through continuous up gradation and diversification of our clientele services in line with national and international requirements is the desired goal we want to reach. Offering quick and improved clientele services through application of modern information technology. Playing an important role in the national progress by including improved banker customer relationship. Ensuring highest possible dividend to the respected shareholders by making best use of their equity. Pursuing the policy of nurturing balanced growth of the Bank in all sectors. Consolidating our position in the competitive market by introducing innovative banking products. Ensuring highest professional excellence for our workforce through enhancement of their work efficiency, discipline and technological knowledge. Expanding the Bank’s area of investment by taking part in syndicated large loan financing. Increases finances to small and medium Enterprises (SME) sector including agriculture and agro based industries, thus making due contribution to the national economy. Upholding the image of the bank at home and abroad by pursuing dynamic and time benefiting activities. Ensuring maintenance of capital adequacy, comfortable liquidity, asset quality and highest profit through successful implementation of the Management Core Risk program. At present, NBL has been carrying on business through its 85 branches spread all over the country. Besides, the Bank has drawing arrangement with 415 correspondents in 75 countries of the world as well as with 32 overseas Exchange Companies. NBL was the first domestic bank to establish agency arrangement with the world famous Western Union in order to facilitate quick and safe remittance of the valuable foreign exchanges earned by the expatriate Bangladeshi nationals. NBL was also the first among domestic bands to introduce international Master Card in Bangladesh. In the meantime, NBL has also introduced the Visa Card and Power Card. The Bank has in its use the latest information technology services of SWIFT and REUTERS. NBL has been continuing its small credit programme for disbursement of collateral free agricultural loans among the poor farmers of Barindra area in Rajshahi district for improving their lot. Alongside banking activities, NBL is actively involved in sports and games as well as in various Socio-Cultural activities. Upto September 2006, the total number of workforce of NBL stood at 2239, which include 1689 officers and executives and 550 staff. Inspired by its social obligation and commitment and responsibility, NBL has been running a School and College upto Class XII solely on its own guardianship. From the very inception, this institution has been maintaining a good track record of results at the SSC and HSC Examinations. Conducted by an well-educated and trained team of teachers, reputation of this institution has been increasing bay-by-day as a result of their relentless and sincere endeavor. Transparency and accountability of a financial institution is reflected in its Annual Report containing its Balance Sheet and Profit & Loss Account. In recognition of this, NBL awarded Crest in 1999 and 2000, and Certificate on Appreciation in 2001 by the Institute of Chartered Accountants of Bangladesh. Payment to cope with the high price tags of many necessary home and office appliances. Scheme NBL makes better living possible for people living on fixed income. Customers can buy those home and office equipment’s without over taxing their budget. For most of the people on fixed income the opportunity to supplement their monthly earning is a golden one. And NBL Special Deposit Scheme gives a customer just that. Under this scheme, customers can deposit, money for a term of 5 years. The deposited money is fully refundable at the expiry of the term. At the same time, during the term period they can enjoy a monthly profit corresponding to their deposited amount. As for instance, under this scheme a deposit of Tk,55,000/- gives a monthly income of Tk.500/-. This scheme is specially designed for the benefit of the limited income group members. This helps to accrue small monthly savings into a significant sum at the end of the term. So, after the expiry of the term period the depositor will have a sizeable amount to relish on. A monthly deposit of Tk.500/- or Tk.1000/- for 5 or 10 years period earns in the end Tk.40,100/- or Tk.2,24,500/- respectively. Through its Credit Card. National Bank Limited has not online initiated a new scheme but also brought a new life style concept in Bangladesh. Now the dangers and the worries of carrying cash money are memories of the past. National Bank Limited has introduced ATM service to its Customers. The card will enable to save our valued customers from any kind of predicament in emergency situation and time consuming formalities. NBL ATM Card will give our distinguished Clients the opportunity to withdraw cash at any time, even in holidays, 24 hours a day, 7 days a week. NBL ATM card – your access to prompt cash. This is an uncertain World and the threatening silhouettes of future catastrophes are always looming around. This NBL scheme gives your family protection against the insecurities of the world. This scheme is the first of its kind in Bangladesh. It combines the benefits of regular savings and insurance scheme, so, you get the usual rate of interest on the deposited amount while you enjoy the protection of a comprehensive insurance coverage. Under this scheme, the beneficiary(ices) get equal the deposit in case of natural death of the account holder whereas in the event of accidental death of the account holder the beneficiary(ices) will receive twice the deposit. As for example, if a customer picks up Easy Class (Tk.50,000/-) he/she will get Tk.50,000/- for natural death and Tk.1,00,000/- for accidental death apart from his/her deposited amount and interest. Joining with the world’s largest money transfer service “Western Union”, NBL has introduced Bangladesh to the faster track of money remittance. Now money transfer between Bangladesh and any other part of the globe is safer and faster than ever before. This simple transfer system, being on line eliminates the complex process and makes it easy and convenient for both the sender and the receiver. Through NBL – Western Union Money Transfer Service, your money will reach its destination within a few minutes. The deposit of the Bank increased over the years. In 2003 it was 27762.12 million taka and at the end of 2006 its balance was 40350.87 million taka. Total deposits mobilized by the NBL in 2006 stood at tk. 40350.87 million, which is higher by the tk. 7366.82 or 22.33% than in 2005. Keeping in view the element of profitability, priority is given to mobilization of costless and low cost deposits. Deposits resources are raised by undertaking special saving mobilization programmers at the intervals throughout the year. Loans and advance also showing the upward trend over the years, which indicates a positive signal for a bank. Total loans and advances disbursed by the NBL during 2006 increased by tk. 5689.47million to tk 32709.68 million. the rate of growth was 21.06%. During the year Bank’s profit after tax has also increased i.e. Tk. 88.12 million in 2003 to Tk. 507.49million in the year 2006, a positive balance. And the growth of profit 2006 is too high than 2005. A huge source of bank’s income, both has increased over the years. In 2006 Export earning was 28019.20million- a golden period. NBL financed export trade worth US$ 405.33 million equivalent to tk. 28019.2million in 2006.as compares to us $ 329.00 million equivalent to tk. 21344.1 million in 2005. The rate of growth stood at 23.20% in terms of dollar and 31.27% in terms of tk. The volume of import trade financed by NBL in 2006 amounted in us$ 606.30 million equivalence to tk. 42455.5 million as against us$ 485.00 equivalent to tk. 31648.2 million in 2005. The Banks main sources of funds are shareholders equity and savings of the public, which the bank mobilizes as deposits and deploys as short and long-term loan and advances as well as invites in different financial institution including Bangladesh Bank to earn profit. Total funds of the Banks is controlled by and utilized through the Treasury Division, Loan Division And Merchant banking division. As per the latest directives of Bangladesh Bank 18.0% of the total demand and liabilities are required to the maintained as statuary Liquidity Ratio (SLR) of which 5.0% are to be maintained in cash as CRR in current Account with Bangladesh Bank ( on which no interest in receive) and the rest 13% are maintain in different approved securities, treasury bills, bonds, debenture and foreign currency. In utilizing its resources the Bank keeps in view the need for maintaining required liquidity and earning maximum profit through lending and investing. A department which has direct interaction with customers, deal with opening of different types of Accounts. After getting all required papers Officer go to the senior executives for taking the permission of open the A/C. in the mean time s/he verify all papers and finally if the client is eligible for a A/c holder then Bank permit him to open the A/C. First interact with the client and understand his/ her interest to open an A/C, address, profession, social status and also his referee. Declaration – who will withdraw money? If it is a company’s A/C then MA is must After fulfillment of all requirements a client is permitted to open an Account. Under this scheme one customer can open an account for 3 years @ 9% interest rate, 5 years @ 9.25% interest rate, and 8 years @ 9.5% interest rate. The monthly installments are – Tk. 500, Tk. 1000, Tk. 2000, Tk. 3000, Tk. 4000, Tk. 5000, and Tk. 10000. For opening an account customer need to submit only one copy of his/her recent photograph (passport size). Same person can open more than one account in the same branch or bank on different monthly installment. The scheme will be titled as NDS. The period of deposits will be 3 years. Credit facilities up to 80% are allowed against lien on balance of NDS A/C, at 15% rate of interest of quarterly rest. This cash Department deals with cash, maintain the registers of Incoming and outgoing of cash flows. Cash department has to properly maintain cash management policy. Within this policy cash department performs activities through some steps and follows some policy, especially insurance policy. In cash department above mentioned registers are maintained. For example, in receive register there are two heads. One is receive from branch and other banks, other are receive from customers. Hence in payment register there are also two heads. One is payment to branch and other banks and another is payment to the customer. Day cash balance book – incase of large branch this book is maintained one after one day, but in case of small branch this book is maintained on current date. Evening cash balance book – in case of emergency receive from customers, bank has to maintain this special kind of book for party services. This Dept. plays an important role in deposit all cash, cheques, bills, DD, TT, PO or anything. Not directly interacted with customers but deals with the customers’ tasks. Mainly Debt, credit and transfer is the major part of their task. After collecting cheque at first it goes to the computer operator. The officer entry the cheque no, judge validity of the cheque, check the current balance. If computer shows “good for payment” then cheque is approved for cancellation process. If computer shows “do not pay” then no amount is debited from the A/C. If the cheque amount is 25,000 and above and it is transfer cheque then second cancellation is needed Otherwise first cancellation is enough. Operation is divided two parts; one is manually and other is computerized. Inland Remittance Dept. Always busy to remit customers money from one destination to another destination with a minimum charge. Mainly money sent through TT. PO, DD, SDR etc. Though Pay Order is an unconditional instrument so when a customer presents PO to this dept. Bank bound to pay the money unless any injunction of court. Without An account PO purchase is not allowed .If a PO of same bank another branch is presented then one branch has to send a credit advice to the paying branch. Incase of TT minimum 3 parties are related. After getting a TT must justify the test number, TT number. After matching the test number “test agreed” seal is given upon telex message, then voucher has to prepare. At last paying branch debit its issuing branch and credit its customers account. In case of DD, there is no responsibility of bank. Party has to bear DD of his own responsibility. In this case paying and issuing branches are different. Pay slip is issue for meeting internal payment, FDR interest, a/c closing amount etc. For DD- Commission 0.10%, Vat 15%. For TT – Commission 0.10%, Vat 15% & Telephone charge Tk.40. For PS – No charge required. Every member bank of the Clearing House prepares a bank-wise list of cheques and drafts received from its customers and drawn on different banks. Representative of each bank visits the Clearing House with the cheques and their list in the morning and delivers the cheques and drafts to the representatives of the respective banks. Similarly, he/she also receives the cheques drawn on his/her bank from the representatives of the other banks. The representatives return to their respective banks to meet again in the afternoon to return the dishonoured instruments, if any, to the representatives of the respective banks. The representative of each bank computes the final balance payable or receivable by his bank or other bank from other banks after taking into account the various amounts of receipts and payment. of the respective banks as maintained with the Clearing House. Loans & Advance is a major earning source of a Bank. NBL is also very careful to provide loan, normally NBL sanction loan to individuals, small/medium or large industries. Actually loans give out of the Bank’s deposits, against valuable security. NBL follows some general rules/principle to provide loan to its client. The bank shall provide suitable credit services and products for the markets in which it operates. Loans and advances shall normally the financed from customers’ deposits and not out of the share, temporary funds or borrowings from other banks. Credit will be allowed in manners, which will in no way compromise the Bank’s standards of excellence and to customers who will complement such standards. All credit extension must comply with the requirement of banking companies Act 1991 and Bangladesh Bank’s instructions as amended from time to time. The aggregate of all cash facilities shall not exceed 80% of customer deposits. It is further governed by the statutory and liquidity reserve requirement of Bangladesh Bank. What is CC: Actually cash credit is one kind of credit facilities to the customer. CC is a fully continuous loan. Generally this loan issued for providing working capital of a business. Some discussion about CC Generally hypothecation is used in a large scale. In hypo stock acts as a primary security and keeps under borrowers full responsibility. In case of pledge stock possession is kept under bank and bank guard it own cost. After submitting bills by party bank pay bill amount to the supplier and party collect money from supplier. Party has to maintain certain % of margin to the bank. In case of first arrangement borrower has to pay 15% of loan amount to the bank, then he /she can goes to arrangement. In case of third arrangement this percentage is 45%. If borrower does not pay his/her liability although taking this reminder action then bank goes to legal action (file case). Different interest rate of different securities: FDR: Loan against FDR between 80% – 90% interest rate is 2% – 3%. If loan issued above 90% Interest Rate is 3.5% – 4.5%. So party’s net bill receivable (NBR) is determined after cutting 18.5% charge on work value & this value is distributed step by step. Before sanctioning a Loan: Before sanctioning guarantee-lending risk analysis (LRA) and proposal preparation is must. Branch sends the LRA report with the proposal to the board meeting (if loan is above 20lac) to finalize the decision of providing Loan. Bid Bond: Actually in the time of tender bid bond is used. It’s one kind of instrument. Performance Guarantee (PG): Generally bank gives PG upon party’s work ability for a certain time period. PG gives on total work value. Advanced payment guarantee (APG): APG gives for the initial amount. Counter Guarantee: A Guarantee against a Bank guarantee. Bank must be responsible for any lapses, disorders. Inability of party & treated as failure. Validity of BG: Work order must have a valid period and within this valid period party has to finish his work. But if employer wants he can extend this valid period. Theme of ADB loan: Asian Development Bank distributes a handsome fund to different developing countries. Generally in case of ADB loan charges 12% interest rate for 6 years repaid on monthly installment basis. Loan repayment starts after 1 year. If loan is 2 lacs Safety money is Tk. 100 per month. If loan is (2 – 4 ) lacs Safety money is Tk. 300 per month. If loan is (4 – 6) lacs Safety money is Tk. 400 per month. If loan is (6 – 9) lacs Safety money is Tk. 500 per month. If loan is (9 –12) lacs Safety money is Tk. 600 per month. If loan is above 15 lacs Safety money is Tk. 800 per month. If installment exceeds 50% of total salary then he/she does not permits provide EHBL facilities. Loan for purchase of land is restricted to 40% of total value of land. Papers & Procedures for EHBL: Photocopy of agreement of sale/allotment letter from concerned authority. Up to-date clearance from Rajuk/CDA/KDA for Dhaka/Narayangonj/Chittagong and Khulna areas or from local development Authority/Municipality for others areas stating that the land is free from acquisition. Sale permission from Housing estate if the plot is leased by Housing / other Govt. body. Whether the land is under direct possession of the seller and buyer will get possession on the same immediately after purchase. Valuation Certificate of land signed by a bank official. Theme of HBL: Generally HBL is issued for customers. Whether the land is under direct possession of owner. Possession certificate from recommending authority after spot verification. Whether the land is fit for immediate construction or requires earth filling. Copy of approved plan from RAJUK/CDA/KDA/Purchaser /an engineer. Estimate cost of the proposed construction signed by a PWD engineer not below the rank of Asst. engineer. Clearance certificate form the Bank’s approved lawyer regarding the genuineness of the right, title etc. of the owner of the land. Photocopy of agreement of sale duly attested by the Recommending Authority. Clearance certificate form RAJUK/CDA/KDA for Dhaka/ Narayanganj/ Khulna and Chittagong areas and from competent authority for other areas for sale where necessary. Sale permission from Housing Estate if housing & settlement or other Govt. body leases the plot and house where necessary. Valuation certificate of ready- made / apartment signed by a PWD engineer not below the rank of Asst. engineer. Clearance certificate form the Bank’s approved lawyer about the genuineness of right, title etc. on the land and house. Whether the house is in habitual condition. Rescheduling Rules: After receiving rescheduling application bank has to query why loan account becomes defaulted. Considering rescheduling bank has to observe borrowers liability with other bank. Bank must have to observe borrower’s cash flow statement, Income statement, Balance sheet. Sometime bank can inspect borrower’s industry/firm physically to ensure borrower’s repayment capacity of rescheduling liability. Bank must preserve this report .if bank satisfied with above conditions, and then loan can be rescheduled. Otherwise legal action must be taken, keeping sufficient provision and write off the loan. Rescheduling must be for minimum time period. Between maximum 15% of overdue installment or 10% of outstanding – which is lower pain in cash then 1st rescheduling considered. Between maximum 30% of overdue installment or 20% of outstanding – which is lower pain in cash then 2nd rescheduling considered. Between maximum 50% of overdue installment or 30% of outstanding – which is lower pain in cash then 3rd rescheduling considered. Rescheduling of demand and continuous loan: In case of demand and continuous loan’s rescheduling rate of down payment vary in order to loan amount. E) Statement of rescheduled loan. A consolidated statement as per Bangladesh Bank requirement sends it through Head Office as a continuous basis. As when required others additional statements have to prepare. Statement of loan & advances in Govt. & private sector at Inspection date. NBL provide both Credit card & Debit Card Basically this department deals with credit cards, and now days only the ‘Master Card’. But NBL recently is starting the operation of VISA Power Card as a Debit Card. Master Card is using as an alternative of cash. In the real world cash carrying is not safe always that’s why credit card is very popular in the modern world and also in Bangladesh. People can draw cash from the ATM with out any involvement of human, by credit card one can buy anything from the shop. Silver & Gold, both has local & International range. – Interest rate is 2% for both Local and International. For exporter lien will be his F.C A/C and payment of card will be through USD. If approved by the management the card will punch and deliver after 1 day to the Clint. The card holder may avail any of the above Cards subject to fulfillment of necessary requirements. NBL Power Card can be used for purchases at merchants where VISA Cards are accepted through electronic point of sales terminals. NBL Power Card can be used for withdrawing cash from Automated Teller Machines (ATM) s.
For Local Card there is no issuance fee for the 1st year and from the 2nd year only Tk. 200 will be charged. For the International Card highest charge will be $ 40 & lowest will be $ 15. To get a NBL Power Card customer has to submit only two copies of his/her recent photograph and the TIN (Tax Identification Number). Here merchant is our client who has a shop/ outlet. Merchant uses our NBL card machine. NBL take 3% interest from the merchant. For manual machine phone call come from the merchant to take the approval, whether the card is valued or not, card has sufficient balance or not And person of this Dept. Check the cardholder’s current situation and give the decision to the merchant. For POS merchant can know the current situation of the cardholder in his computer. Merchant marketing people always keep on follow to find the problems in the market and doing their maintenance and servicing job. The Merchant will indemnify and not will NBL responsible for any claims, demands, actions, suits or proceeding, liabilities, losses, costs, expenses, legal fees or damages asserted against NBL by any holder on account of acts or omissions by the Merchant in connection with the sale of goods and services and the performance of this agreement. The indemnity provided herein shall service the termination hereof in so far as it pertains to events, which transpired during the subsistence hereof. Imprinters for use by the Merchant will be provided on request. The imprinter provides to the Merchant must be returned on termination of this agreement. Any other Imprinter used by the Merchant not provided by NBL must be one, which can accommodate MasterCard charge slips or email or fax/telex. CCD will stop function of that stolen card. Cash drawing is very easy in Master Card. People can draw money from ATM or from the bank also. For using the ATM pin code is require punching into the machine. Cardholder can get a supplementary card for another person. But the main cardholder will carry all charges. One cardholder cans delegate his authority to get the insurance coverage after his death, so that nominee will get all insurance payment after cardholder’s death. No bank account is needed. Money can be send with Master Card or Visa Card. Fastest & safest way to transfer money. People can collect money from any branches of the National Bank Ltd.
Sender has to fill up a form supplied by the agent of Western Union. After filling up the form sender has to give the form and money to the agent. Sender has to collect a recite of MTCN (Money Transfer Control Number). Sender has to inform the recipient about the amount of money and the MTCN. Receiver has to collect the MTCN and information about the amount of money. Then recipient has to fill up a form after presenting his/her identity in any branch of NBL. After examining the identification through the computer network the agent of the Western Union will give the money to the customer. No privacy for party to talk personality with the officers. No Advising facility for new party/ Importer. All manual register- a lengthy process of keeping accounts. Completely absent of employee motivation. Telex message goes after 1 or 2 days. Sometimes communication gap between officers and executive. No marketing activities to Boost up Export & Import activities. No promotion or features for the valued parties. All amendment goes through Telex not through E-mail. No analysis for competitors – what they are doing. No alternative arrangement for customer during rush hour. Poor customer services, poor care of customers. New competitors entry into the same market with greater facilities. Advising charge is high compare to other Bank. LIM / LTR interest rate seems to high. No Local Area Network (LAN) system within the computers. Customers’ always run from table to table with their files not the employees. No good Photocopy machine inside the department. 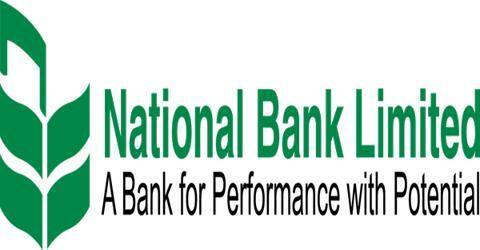 Analysis of National Bank Limited. Firm can motivate employee in various way. But rewarding employees financially improves level of employees work.. Renowned organization of the world gets success by using this motivating tool. But use of other tools re also very important. Because need of money is not important I all level of employee. Higher-level employee want something more than money.